Free breakfast on Monday!!! Yes!!! It's tomorrow (18th March)!!! Okay!! I bet this nowadays people including myself skipped breakfast due of lifestyle's habit of wake up late, this is why 'brunch' suddenly appear in dictionary. Do you know that breakfast is the most important meal of the day? A good breakfast provides the nutrients that people need to start their day off right. Hmmmm.... 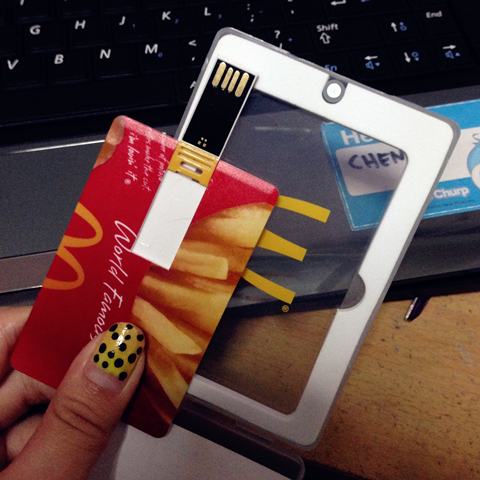 I think I should make this as habit too. Cheesie & Me. Oh gosh!!! 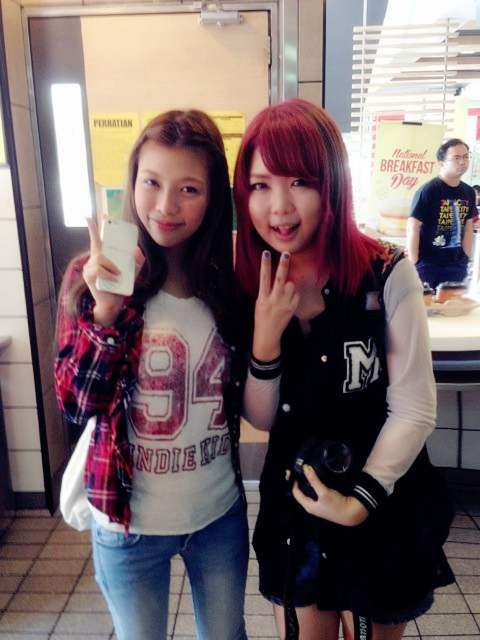 I'm so glad met and chatted with her. Anyone love burgers, harshbrowns and coffee/tea? 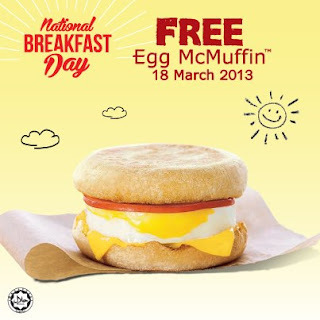 Mark your calendar now because on 18th March 2013, McDonald will offer a FREE Egg McMuffin to the first 1000 customers from 7am to 10am. Do not miss this!! 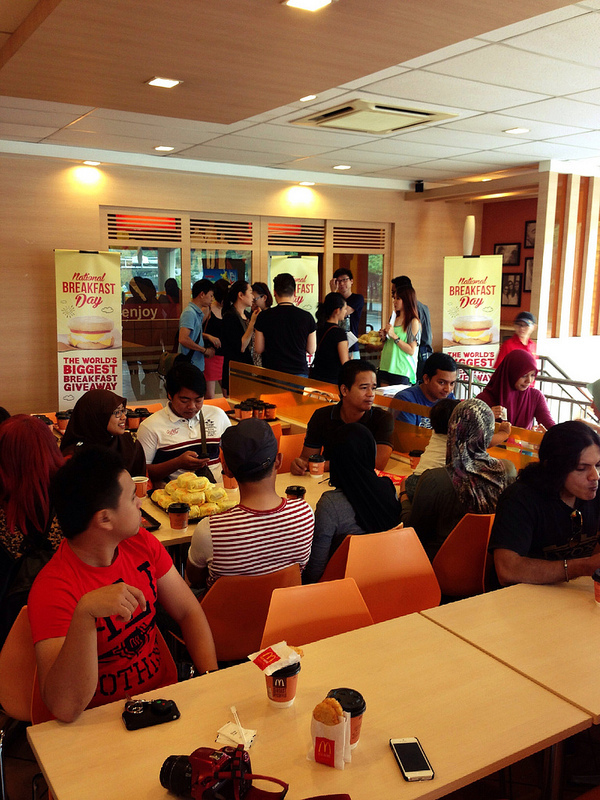 Everyone is enjoying breakfast while chit-chatting between bloggers. 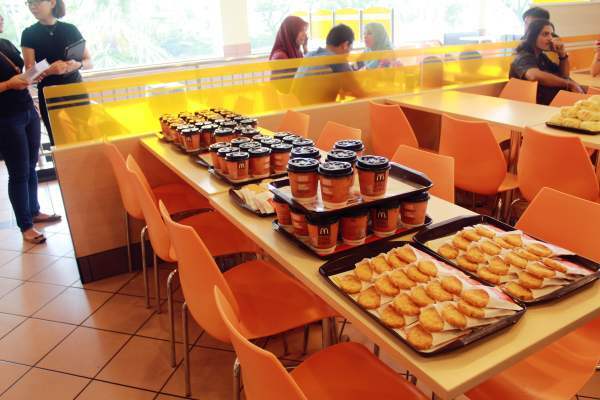 This is my first time breakfast-ing with bloggers and the most fun part, everyone were super friendly. 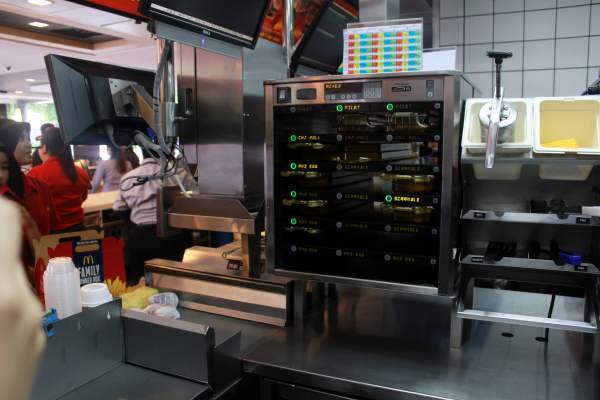 Beside that, there's also have a kitchen tour at McDonald's. 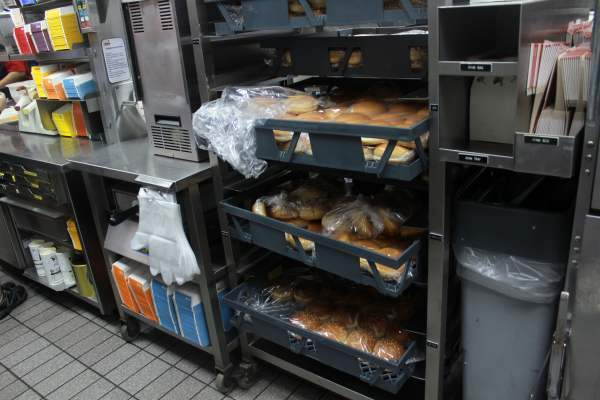 This is my first experience exploring their kitchen to learned the making of a burger, a burger is ready to served in ten sec, what's an efficiency system. Next time I want shout out loudly to my friends say that I had been to their kitchen before haha. I think my friend will give me speechless annoying face lol. The machine that keeps the filling warm. The bun. The yummy bun. 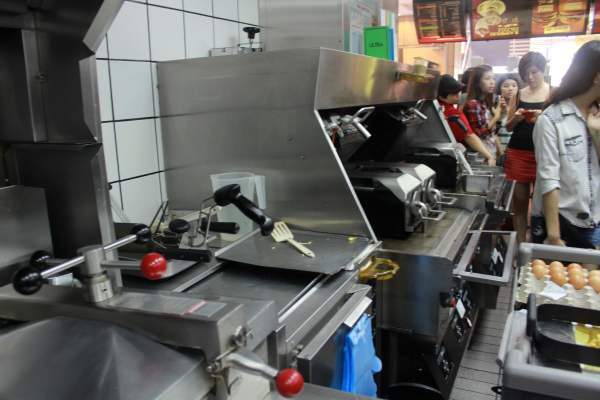 The machine of panning meat and friend fries. The staff demonstrating panning a meet. 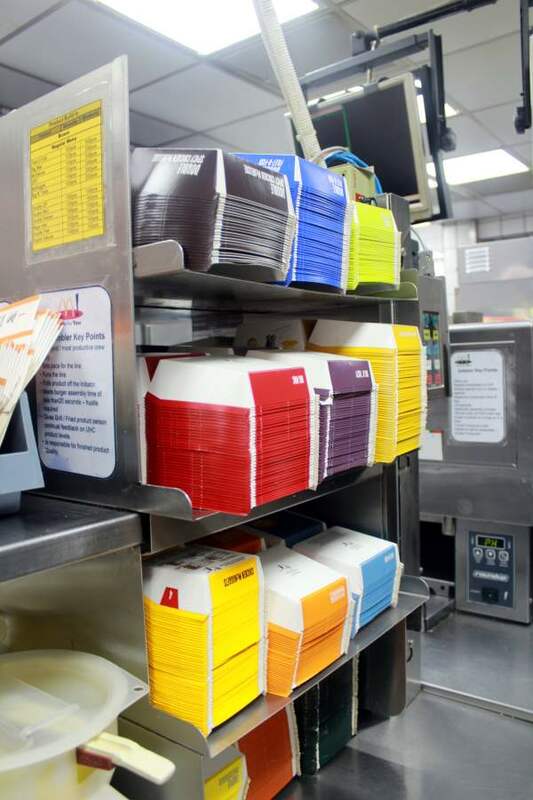 The colorful box to differentiate the burgers. Cheesie's turn to making her own Egg Muffin. Try to have your breakfast everyday and make it a habit. Do check out their page and learn about Morning Truth and remember do not miss out National Breakfast Day which is happening on the 18th March 2013, to get yourself a free burger. Awww, Cheesie <3 hahaha so many cups of coffee! @Steamy Nails, Cheesie are too friendly.